Most people have no idea how to develop or even begin to develop a healthy cash flow plan. 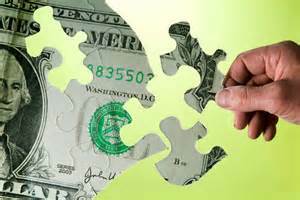 A well developed plan will allocate every dollar of income towards multiple expense categories. Expenses can be personal necessities, taxes, discretionary items, debt, gifting, savings and investing. But there is an order and sequence that should be followed in order to achieve true financial health. The most important and very first category of spending that needs to be allocated are your absolute necessities. Do you have enough income to cover housing, transportation, food, basic clothing and utilities (electric, water, gas)? If yes, you can now begin to allocate monies to service your debt. Debt is broken down into dischargeable and non-dischargeable debt. Non-dischargeable debt includes government backed student loans and IRS debt. Both of these need to be at the top of your debt payment list when allocating funds. If there are still available funds left over to allocate, then you want to service (at least the minimum payment) all of your dischargeable debt. If there is still left over cash to allocate, then you can begin to allocate all your discretionary categories. The greatest focus in this area is to determine what you can and cannot live without. This is the area where you have the greatest control over and the area where you will be able to cut back on if you want to make the greatest progress with eliminating your debt. While you still have debt to service, it is not wise to save (other than a limited emergency fund) or invest at this time. You will have the lowest opportunity cost by eliminating your debt first since debt interest rates are predominately much higher than the return on any savings or investment portfolio. The key to getting out of debt is getting on a written budget. The budget or cash-flow plan will tell your money where to go. This eliminates any money from slipping away. With this variable in place, you can then start the process of navigating your way through debt elimination.